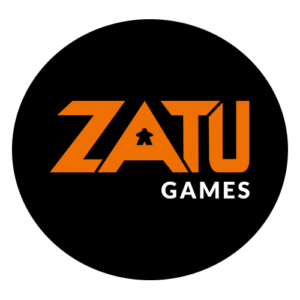 Our Society is proud to be sponsored by Zatu, an online merchant of board games, card games and collectables, amongst other things! They are a young company, founded in 2016, but they have a strong ambition to be the biggest board game retailer in the UK! They offer very competitive pricing on a selection of over 13,000 different board games and collectables, and their storefront may be found here. Zatu also have a blog with features and reviews regarding the latest in board gaming, which may be found here. Thanks to our sponsorship from Zatu Limited, we are able to buy new board games for our Society Collection at trade prices, and from time to time we will be giving out leaflets with discounts for Society members to make use of too!